After an enthusiastic No One Is Above the Law rally at the Prescott Courthouse Plaza last Thursday (approx. 75 marchers!) we cannot let up. Tell your Members of Congress that the full Mueller report be made public. Call your MoCs and demand they make Mueller’s findings public and continue investigations to hold Trump accountable. 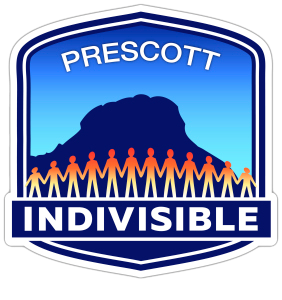 Check out the Indivisible National Action Kit to stay up to date. You can text Red Line to 977-79 to get the latest updates from Indivisible National. Show up. Fight back. Our democracy needs us.